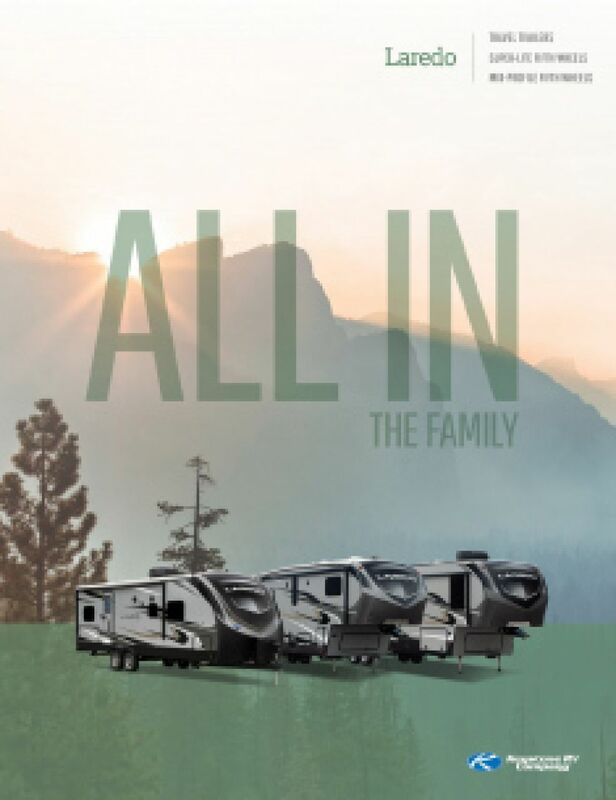 Make the most out of every season with the incomparable 2018 Keystone Laredo 367BH! It's an ideal 5th Wheel for long-distance trips and family camping adventures! You can find this quality RV at National RV Detroit, located at 44700 N I 94 Service Dr Belleville Michigan 48111! We sell top RV brands at wholesale prices, making us a top Detroit RV dealer! If you don't live near Belleville or the Detroit area, we can still bring your dream camper to you with our 24/7 delivery across North America! So give us a call at 734-439-3400 to start your road to RV fun today! Enjoy ample legroom inside this 39' 9" long, 8' 0" wide, and 12' 7" high RV! There are 4 slides, and the temperature is controlled with the 35000 BTU furnace and the 15000 BTU a/c! Nothing tops off a great day of outdoor fun like a good night's sleep! That's what you'll enjoy every night in the handsome master bedroom with its regal King bed! So roomy and comfortable you'll drift off to dreamland before you know it! There are sleeping accommodations for up to 8 inside this RV! You want to make sure your family eats healthy, nutritious meals when you're on vacation because you know the importance of a good diet. You'll have no worries in the Keystone Laredo 367BH, thanks to the modern kitchen it features! With its handy 3 burner cooktop and other cooking appliances, you can whip up delicious hot meals morning, noon, and night! And you'll store all those fresh, healthy foods in the 18.00 cu. ft. refrigerator! You'll be able to clean, drink, and cook with plenty of water from the 66 gallon fresh water tank! Step into the full bathroom and you'll find your family's own personal Porcelain Foot Flush toilet and shower! There are 60 lbs. of LP tank capacity, so you can make your showers as hot as you wish! Dirty water and waste are stored in the 78 gallon gray water tank and the 78 gallon black water tank, respectively, so the whole process is discreet and sanitary! 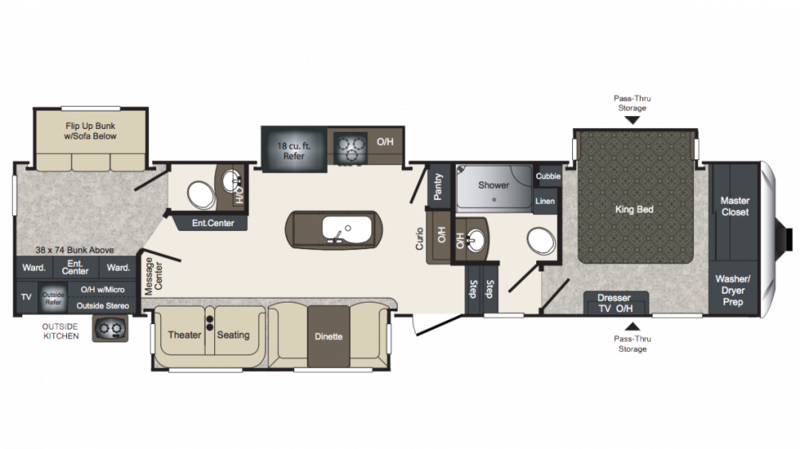 The Keystone Laredo 367BH has 3 beds and sleeps up to 8 people. Not only does it have a great master bedroom, but the bunkhouse includes roomy Bunkbeds for family or guests to cozy in and sleep in comfort and privacy! Grab a few snacks and cold drinks for the campfire from the outdoor kitchen!